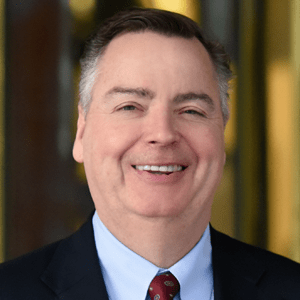 Berkery, Noyes & Co. represents The Thomson Corporation in the sale of American Health Consultants to Thompson Publishing Group - Berkery, Noyes & Co., LLC. 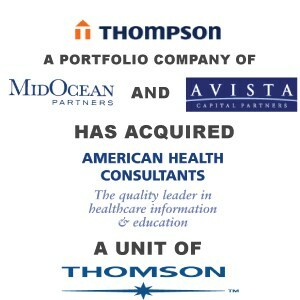 New York, September 6, 2006 — Berkery, Noyes & Co., LLC announced today that it represented The Thomson Corporation (NYSE:TOC; TSX: TOC) in the sale of American Health Consultants (“AHC”) to Thompson Publishing Group (“TPG”). TPG investors included MidOcean Partners and Avista Capital Partners. The acquisition, completed on August 31, 2006, combines TPG’s strong position in financial services, human resources, education and grants with AHC’s healthcare and biotech products. American Health Consultants is one of the largest publishers of subscription healthcare newsletters in the world. AHC is a healthcare information company that serves the needs of a broad array of healthcare professionals and executives through the development and distribution of clinical and business information in a variety of formats and media. Industry-leading titles include Emergency Medicine Reports, Same-Day Surgery, BioWorld Today, Internal Medicine Alert, and Medical Device Daily. In addition to its newsletters, AHC publishes dozens of sourcebooks covering various healthcare topics and is a leading provider of accredited continuing education and continuing medical education for physicians (CME), nurses (CE) and pharmacists (CPE). Furthermore, AHC has leveraged its content to become a leading online provider of healthcare information and continuing education. Thompson Publishing Group (“TPG”) is a leading publisher of subscription-based information on complex laws and regulations. With more than 490 publication, TPG serves professionals in the field of banking, human resources, pensions and benefits, grants and education, food and drug law, environment, healthcare and energy. TPG is backed by MidOcean Partners and Avista Capital Partners. MidOcean Partners is a premier private equity firm focused on the middle market. Avista Capital Partners is a private equity firm with offices in New York, NY and Houston, TX. Founded in 2005, Avista’s strategy is to make controlling or influential minority investments primarily in growth-oriented media, healthcare and energy companies. Berkery, Noyes specializes in investment banking for the information, publishing, and communications industries. Among it’s the 26 transactions completed by Berkery, Noyes the last 18 months are the acquisition by Springer Science + Business Media of Current Medicine Group, acquisition by WebMd Corporation of Conceptis, acquisition by Forstmann Little & Co. of ENK trade shows, Highline Media, LLC (Spire Capital) of Adams Business Media Financial magazines, acquisition by The Wicks Group of DesignWrite, Inc., the acquisition by Veronis Suhler Stevenson of Facts On File, the acquisition by Wolters Kluwer Health of Boucher Communications, Inc., the acquisition of Delta Education LLC by School Specialty, Inc., and the sale of the assets of Medquest Communications to VendomeGroup LLC. Berkery, Noyes’ clients include private companies seeking a buyer, and most of the major international information companies and private equity firms who use the firm’s expertise in locating, analyzing and negotiating with acquisition candidates and in managing divestitures. The firm operates with a staff of thirty professionals serving the information and publishing and communication industries from offices in New York.